Bedpans are convenient for those confined to a bed, making them ideal for hospitals, nursing homes, long-term care facilities, or home use. 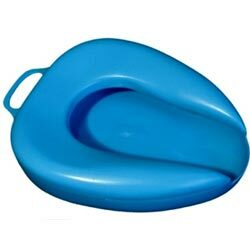 The Bedpans are available with or without handles, or as a fracture bedpan. The bedpans are sanitary, and resistant to rust, corrosion, and stains.